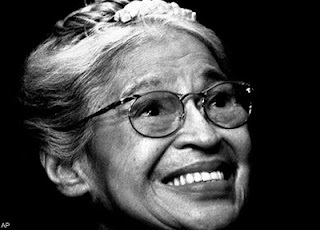 Rosa Parks' is a civil rights icon and hero to many. Since her death in 2005, Ms. Parks has become a pawn in a legal tug-of-war. Her estate which included memorabilia once valued at $10M and a cash value of $370K, is now in the midst of dysfunction. A New York City auction house is in possession of her memorabilia and legal fees have drained her estates cash value. The financial portrait of Parks' estate, which has been kept under seal since her death, is outlined in a new Michigan Supreme Court filing that offers the first detailed glimpse into a long-running feud over the distribution of her assets. The legal filing contends that Wayne County Probate Judge Freddie Burton Jr. allowed two court-appointed attorneys, John Chase Jr. and Melvin Jefferson Jr., to pile up excessive fees that drained nearly $243,000 from the estate, or about two-thirds of the cash value. After the money was gone, the lawyers persuaded Burton to award them Parks' vast memorabilia collection and the rights to license her name, which Parks had given to her Rosa and Raymond Parks Institute for Self Development long before she died. Steven Cohen, who represents Elaine Steele and the institute in the probate case, filed the request Tuesday, asking the Supreme Court to overturn an appeals court decision that stood behind Burton's handling of the case and accused the judge of overstepping his bounds by arbitrarily appointing Chase and Jefferson as fiduciaries when the lawyers were not previously involved in the case. "Since Mrs. Parks' death in 2005 ... the court system of her adopted city has embarked on a course to destroy her legacy, bankrupt her institute, shred her estate plan and steal her very name," Cohen said in the filing. Cohen wants the institute and Steele to get the property back. Who should be held accountable for the mismanagement of this estate? Should a court have the authority to manage an estate the way they've managed this estate?